Ball State controlled most of the first half, however, and the offense gained 359 yards — 181 on the ground — against the nation's No. 10-ranked defense in a 24-19 loss. Ball State used the read option to pick up big chunks of yardage early on against a defense that was allowing just over 110 rushing yards per game coming in. The running back duo of sophomore Darian Green and freshman James Gilbert combined for 110 yards in the game. Both had long rushes of over 20 yards coming out of the option. Quarterback Riley Neal led the rushing attack in his first career start, carrying the rock 16 times for 78 yards with a long of 22 yards. Lembo said the running game was impressive against the stout Wildcats' defense. Neal's mobility gives Ball State's offense another dimension it didn't necessarily have with Jack Milas at the helm. Milas is more of a true pocket passer, but Neal provides a different skill set. Outside of Neal's fumbled snap inside Northwestern's 5-yard line, he was efficient carrying the ball. The running game helped Ball State go into halftime with the lead and keep close with one of the nation's top teams. But with the missed opportunities the Cardinals had, Lembo said he felt like they let it get away. Lembo went on to say that the offense will continue to take advantage of what the defense gives them, which means the offense will likely feature a balanced attack. 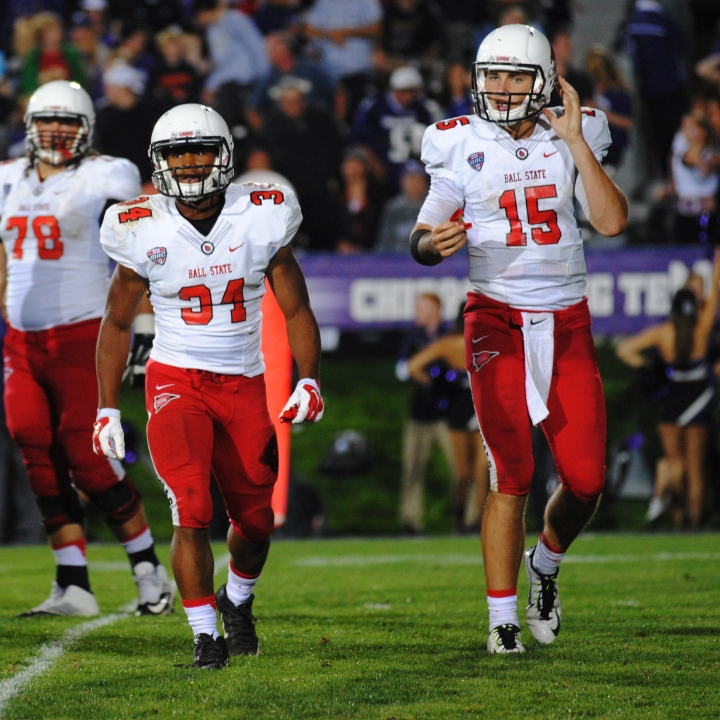 Coming into the game, the Cardinals’ rushing attack was one of the best in the country, averaging 249 yards per game. Putting up over 175 rushing yards against an elite defense like Northwestern’s makes this running game look even better moving forward. Ball State's multi-dimensional offense is sure to put its Mid-American Conference opponents on notice for the rest of the season. The team will take on Toledo (3-0) on Oct. 3 at Scheumann Stadium.